Preheat oven to 450°F. 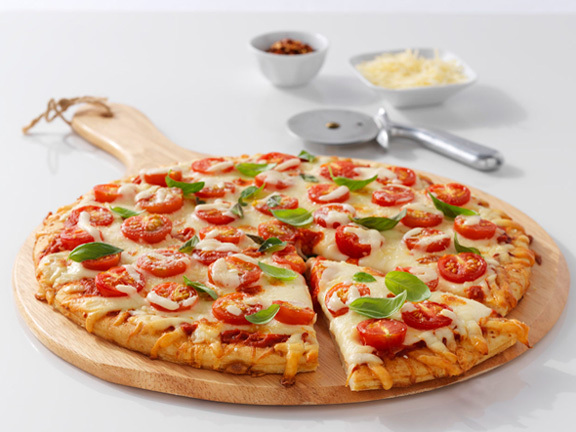 Spread sauce over Boboli® pizza crust. Top evenly with mozzarella cheese. Arrange tomatoes cut side up on cheese. Sprinkle parmesan cheese on top of tomatoes. Bake for 8 – 10 minutes or until cheese is bubbly and crust is browned. Top with basil after removing from oven. Let sit for 5 minutes and serve warm.